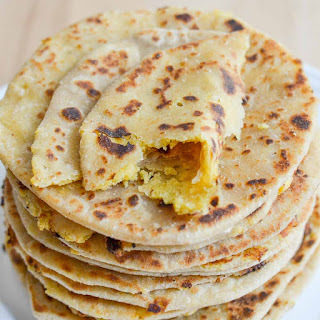 Mamidi Tandra is a traditional Indian snack. It is a fruit leather made out of mango pulp mixed with concentrated sugar solution and sun-dried. 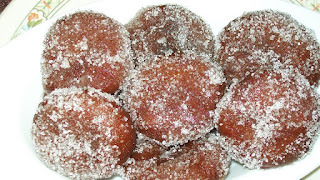 Mostly in Andhra sarpavaram is famous for mamidi tandra. 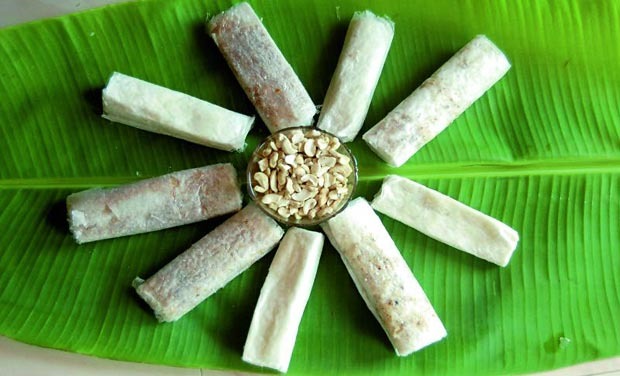 It is a wafer-like sweet created in Atreyapuram, a village and Mandal in East Godavari district of Andhra Pradesh. 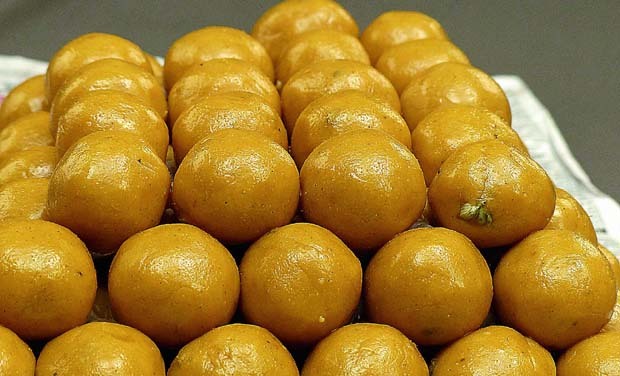 Initially, Poothareku was mostly consumed by royal families and distributed to the people during festivals and any celebrations. Later the village started mass production and is now widely available. 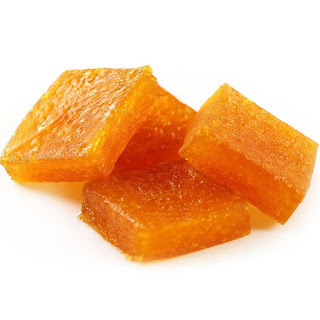 The village then became synonymous with the preparation and trading of this sweet. The mouthwatering Nellore 'Malai Kaja' is not just available for Nelloreans but also for people residing in different areas of the country. 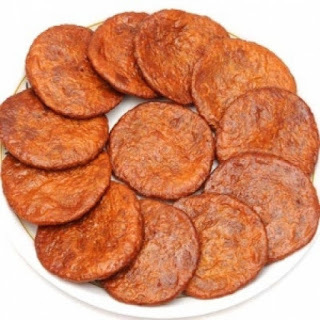 'Malai Kaja' is a delicacy mostly ready at the regions of South India, especially in Nellore city. 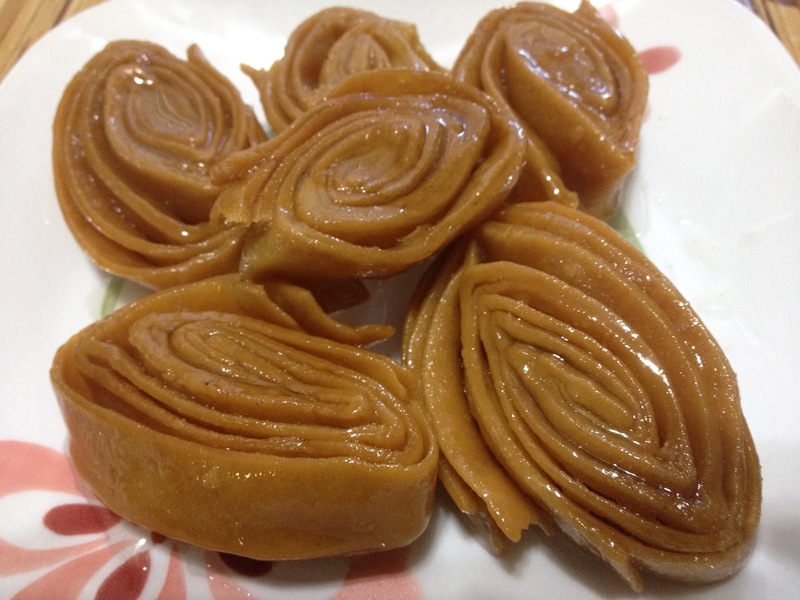 Kakinada kaaja is a sweet delicacy of Andhra Pradesh, India. 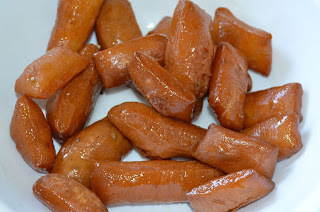 It is a popular khaja in Kakinada, a coastal city in Andhra Pradesh, hence the name. Bandar_laddu is a sweet produced in Machilipatnam of Krishna district in the Indian state of Andhra Pradesh. It was registered as one of the geographical indication from Andhra Pradesh on 3 May 2017, under foodstuff by Geographical Indication Registry. 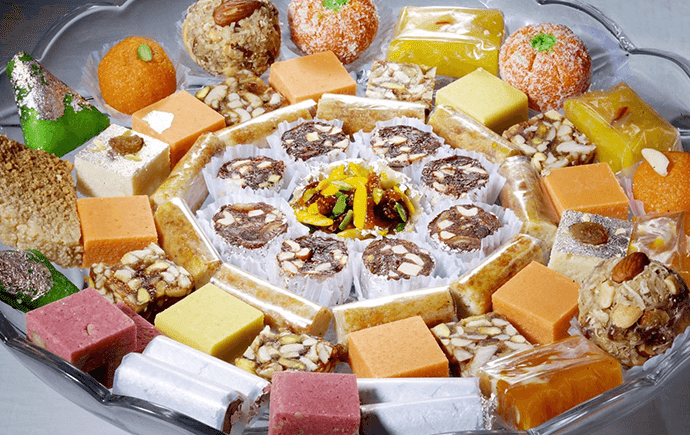 Mouth watering sweet, We can get this only at Koorada, A small village on the bank of East Godavari, near Kakinada, Andhra Pradesh. Tapeswaram Kaja or madatha Kaja is a traditional Andhra sweet which is crispy from outside and juicy inside. Bobbatlu is made from Chana, Plain flour (wheat flour), Jaggery or Cane Sugar, Cardamom powder and/or Nutmeg powder, Ghee and Water. In Andhra Pradesh and other places, Moong dal, Chana or a mix is used. Ariselu or Arisa is an Indian sweet from Andhra Pradesh, Telangana, and Odisha. Ariselu is a traditional dish and it is prepared during festivities like Sankranti, Dusshera, Deepavali. 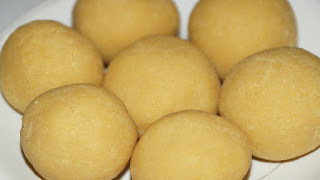 Sunni vunda, or Sunnundalu is Andhra Pradesh's famous laddu. Minapappu or Urad Dal is first roasted dry until it turns golden brown and then is sieved. Ground sugar, cardamom seeds, ghee is added and mixed well and then with a handful of butter it is made to a round shape.